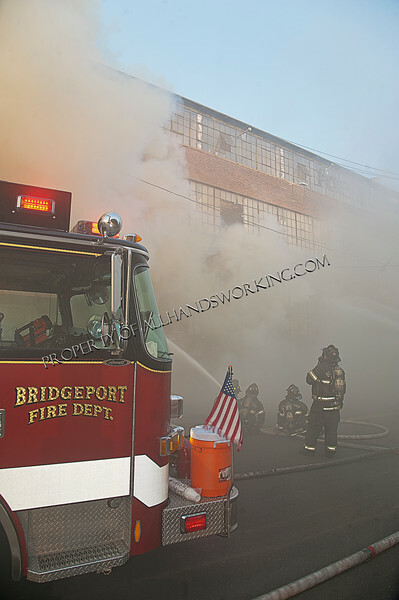 06/21/2012 Bridgeport, CT - A massive fire tore through two factory buildings in the city's west end. The fire was reported at 7:15 p.m. on Thursday. It quickly spread throughout the four story factory and extended into a three story factory attached to it via a catwalk. The fire took the city's entire fire department to bring under control. Companies remained on scene for days hitting hot spots.